Saliba: Mazza – Aus der feinen Küche Syriens presents fifty Syrian mezze recipes – from lamb pita and cucumber yogurt salad to baked aubergine with goat’s cheese. The recipes are developed by Elias Hanna Saliba, one of Germany’s most cutting-edge chefs, and served in his restaurant Saliba in Hamburg. “Eating with the eyes” is to be taken literally. 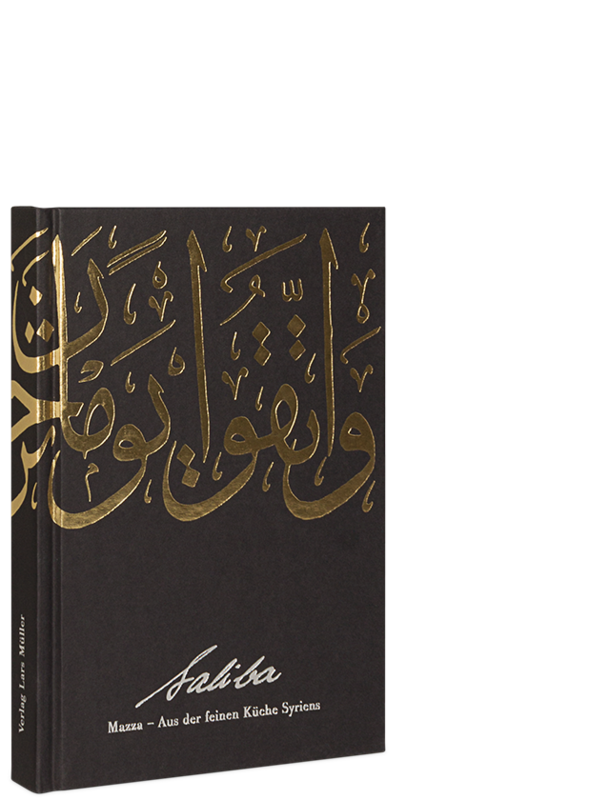 Arabic calligraphy complements the feast for the eyes and makes the book much more than a collection of recipes for amateur cooks and professional chefs. The photographs by Hans Hansen present the delicacies in their most pure, most authentic form. Elias Hanna Saliba ranks among the most innovative restaurateurs in Germany. His restaurant, which serves Syrian cuisine, is renowned far beyond the city’s borders for its magical culinary experiences. Some of the restaurant’s guests – Hans Hansen from Hamburg, the Munich-based designer Pierre Mendell and the publisher of this volume – developed the concept for this book together with Saliba as an expression of their enthusiasm for Arab cuisine, particularly for the diversity and sophistication of its incomparable hors d`oeuvres called Mazza.